Gun control debate: We’re not having one after Charleston, and we haven’t since Newtown. Mass shootings used to inspire a national conversation on guns. Now we find something else to talk about. 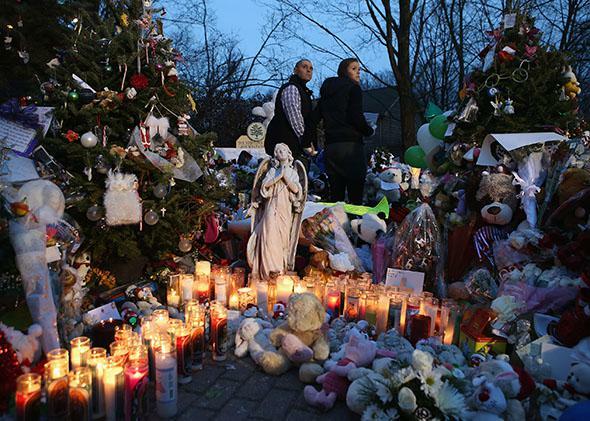 Mourners visit a streetside memorial for the 20 children who were killed at Sandy Hook Elementary School on December 20, 2012, in Newtown, Connecticut. In May 2014, when Elliot Rodger killed six people, three of them by gun, and wounded 14, seven of them by gun, in Isla Vista, California, we talked about misogyny, and we coined hashtags like #NotAllMen and #YesAllWomen. * Now, we’re talking about the Confederate flag.